Vanessa stumbled upon her passion for marketing several years ago while working in the fashion industry. She worked in a number of fashion-related roles, including as a senior stylist for the online subscription and personal shopping service Stitch Fix and as a project manager for luxury brand Lan Jaenicke. While at Lan Jaenicke, she was surprised to discover that her talent for overseeing large-scale marketing plans nearly rivaled her knack for color coordination and fit assessment. 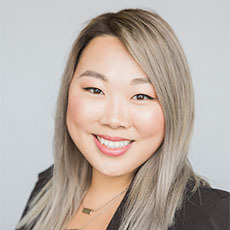 As marketing manager at Segal Benz, Vanessa creates, develops, and implements the firm’s overall strategic marketing direction. This includes keeping our website fresh and relevant, reviewing and analyzing performance measures for our marketing and thought leadership campaigns, and overseeing our annual marketing plan.